Most nations act in their own self-interest. Ours is probably one democracy that is at constant political conflict and uses every opportunity to paint patriots as fascists, as killers and bribe-givers. On the flip side, traitors and separatists are glorified by our MSM and some are even decorated by the GOI. For nearly a decade that has been the job of the Indian Congress party and their crony media happily picks up the song and plays it over and over again. Remember Charlie Wilson? He was a specialist in Pakistan strategy for the US. I say ‘was’ because Congressman Charlie Wilson died in 2010. Apart from his colourful life, Charlie is most famous for ‘Operation Cyclone’ which involved the funding of Afghan Mujahideen against the Soviets. Some of the funding has also reportedly involved illegal lobbying by the CIA. It is famous as ‘Charlie Wilson’s war’. While Wilson may have succeeded in arming the Afghans there isn’t any doubt a lot of crumbs and benefits were also picked up by Pakistan. When the Soviet occupation ended late 1980s it is public knowledge where the attention of leftover warriors and Pakistan too turned to. It’s also now known that a good amount of Charlie’s funds went to Gulbuddin Hekmatyar, a senior Taliban leader and a supporter of al-Qaeda since the Soviet exit. Wilson is celebrated as a patriotic American hero. AICC Secretary Praveen Davar hit out at the US delegation for inviting the Gujarat CM describing it as "thoughtless" move. "I strongly condemn the three Republicans for inviting Modi to the US. Have Americans forgotten who masterminded 2002 Gujarat genocide? Repeated victory at the hustings does not absolve Modi of alleged crimes against humanity. Lawmakers must withdraw their thoughtless invite. Can you ever imagine an American lawmaker talking about their elected representatives in the manner that this guy Davar talks in reference to a foreigner? In my book this is the language of anti-nationals. First of all he makes a foolish statement. Then, by what logic or entitlement does he believe he has the right to condemn the American visitors? Even if the group was not an official one from the US govt this Davar demonstrates the kind of foolishness with which we handle our foreign relations issues. Look at it from another angle. If the US Reps were indeed bribed to invite Modi and get him a visa then who were the people and parties who bribed the US authorities to deny entry for Modi in the US? Surely, a lot of money must have been spent on the lobbyists who urged the US govt to deny entry to Modi. This was around 2005. Your guess is as good as mine on who spent a helluva lot of money for the anti-Modi campaign with the US govt. Who knows! Maybe the anti-Modi clause has been used as “leverage” in many deals and with many institutions. This is one thing the GOI has never learnt from the US. That nation comes first. That no matter what Charlie Wilson is celebrated as a patriot despite some future unfortunate events supposedly being outcomes of his funding. Wilson has never been blamed for such outcomes. So where did all this screaming of “bribery” start from? 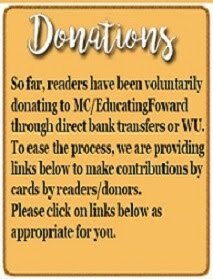 From a community news site called “Hi India” in Chicago. The very nature of the report itself is laughable and not surprisingly no editor or reporter in the Indian media has questioned it. It has no source whatsoever to report on except a printed “invitation” card which is nearly a public document. The rest is a background story on the sponsors organising the trip. Seriously, are the reporters at Hi-India suggesting that bribes were offered by printed invitations? Please note though that Hi-India itself does not mention “bribery” anywhere. This is an invention of the Congress party and Indian media. Is that such a surprise? Here’s what I estimate and consider most appropriate: Three US Reps were invited by a BJP supporter or a sympathiser on a trip to India and a meeting with Modi too. 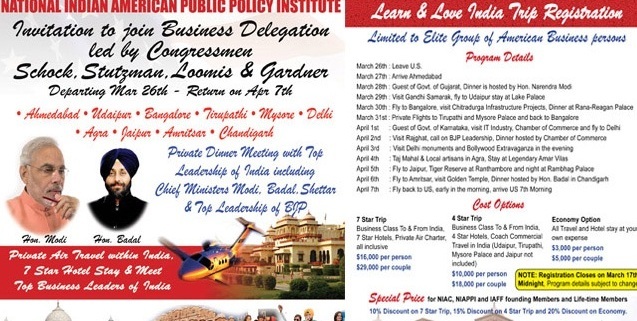 Given that, the sponsor is certainly not going to invite US Reps who are anti-Modi or anti-BJP to lead the tour. He used their prominent names and position to rope in other businessmen or investors for a package cost options of between $3000 and $29000 per person or couple as the case maybe. Since the US Reps were not travelling as “couples” the news site concluded their cost would be $16000 (the highest rate for individuals in the highest class) which in turn is inferred as “bribery”. Very smart, isn’t it? On being questioned, one of the US Reps has offered clarification which is carried in the Outlook report but while you may read that, it is not even relevant to the whole case. Just for the record, a US Rep’s annual salary is reportedly $174000, just under $16000 pm. So, imagine our media implies that for just over a month’s salary they can be bought. Even Indian politicians can’t be bought for that. If a sponsor is using the lead team of “prominent lawmakers” to invite others to join the trip at a price then how exactly does it amount to a bribe to the lead-team? Given that the Reps were “invited to lead” it is not even unnatural that their expenses would be borne by the sponsors. It is not confirmed that is the case though. Since I quoted India Today’s headline earlier let us consider Narendra Modi was invited as key note speaker at their recent Conclave and there would have been expenses. Now, we don’t know who bore the expenses of Modi. But supposing India Today had borne the travel, commuting, stay and food expenses of Modi amounting to say Rs.2 lakhs, would that be considered a bribe paid to Modi for speaking at their event? This is the stupid inference ‘Hi-India’ makes which our media editors then repeat like parrots. As for the political statements coming from the Congress, the less said the better. Their hatred for Modi and their funding of anti-Modi media and NGOs is all too well known. After 11 years even Madhu Kishwar who had earlier bought the media arguments has now written nearly a whole book about the hateful campaign against Modi funded by Congress and other vested interests. Not surprisingly, this blog and many others have been saying this for years now. And since we are on it, why not go another step? What exactly is this ‘Hi-India’? 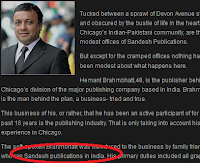 While the Indian media quoted their “bribery” source as a community news site in Chicago most of them did not even mention the name “Hi-India”. Because if they did, you would read and discover how farcical the story is. That would defeat the purpose of the lies, eh? Well, it’s published by a man named Hemant Bramhbhatt. Not much is known about him except that he has been doing a ‘South Asian’ community service news site for many years. Okay, what next? He also publishes something called “Sandesh”. And who helped him getting into this publishing business? Ah well, it’s family friends from the second-highest sold news newspaper from Gujarat called “Sandesh”. This is published from many cities in Gujarat. Sandesh does not have a reputation of being Modi-friendly but we don’t need to make any assumptions. It is important to merely know the connections of ‘Hi-India’. That the US Reps came and spoke highly of a State within India seems intolerable for many politicians and media houses. Ever seen such shameful conduct? In July 2011 the GOI announced it would investigate activities of many journalists and activists who were frequent guests of an anti-India campaigner like Ghulam Nabi Fai. He operated liberally with ISI funds and the participants, including Dileep Padgaonkar, Kuldip Nayar, Gautam Navlakha and many more, were beneficiaries of his doles. Why doesn’t that constitute bribery yet? That too by a known enemy! These are not Americans who can’t be investigated. Is it any surprise that these people are glorified in our media? The Gujarat 2002 riots campaign of lies failed to stick and win elections. They then turned to some lame corruption charges. Then they turned to fantasies about malnutrition in Gujarat being the worst in India. Having failed in all that, the media now clings on to fantasy of any kind that drops their way, including fantasies of bribery for praise and visa. One more splendid article. By the way after accusing Modi of instigating riots, then corruption, then malnutrition (Gujarat is the most improved State with respect to malnutrition), do you know what modi baiters are now sticking to? Now they are claiming Gujarat has more deaths due to swine flus cases than Delhi!!?!! haha..This is the most pathetic attempt I have seen recently to throw muck at a politician. These days I love reading comments that are written in response to these paid articles, which is both fun to read and provide more incisive knowledge. Exactly. The real meat in #PaidMedia article is in the comments section! The drity tricks department seems to have upgraded its Social MNREGA campaign to continue the act of calumny on Modi and recently I have observed the News portal FirstPost where Congress commentators who are paid for sure since almost all of them do not register and very likely be posting from same location and even curiously only one person. The arguments by these commentators with no Id's are abusive,silly and only aim to troll out others out of the blog section. Yet another disgusting propaganda by the congress lobby in the media but we are used to this. NDTV/India Today group/Hindustan Times/Times of India etc.. are obviously twisting the facts. Star News a.k.a. ABP news seems highly derogatory. The so-called news that the American delegation did the self-funding of their expenses in India has now been twisted to- Modi paid them to visit Gujarat, despite the fact that they travelled to half a dozen states and met other important politicians as well. Let us accept the fact that no matter how much they are criticized on the internet but still they are flourishing. I don't see they are ever going to be punished for spreading lies and damaging reputations. 16000 dollars for bribing a US politician? The CON-men even at the District level have better standards. Cheapskates! Either that or the fiction writers slept on the job. So stupid of Indian media to expect that a US Congress Man could be bought over by just $16000! So many prominent intellectuals like Former Intelligence Chief B Raman were expressing their aghast over the incident. Don't understand they expected whom to bear the cost? The US Govt? The Gujrat Govt? or funded by black money? I will pity them if this is their best shot to accuse Modi. 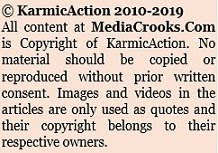 mediacrooks back in action ! the last one was lacking the mediacrooks punch which is back here ! Glad to see that! You are doing one hell of a job, may God give you all the strength you need ! Will congress write off SIT and SC observations on Gujarat Riots? Welcome back---Honestly speaking,after reading your last post and that too subsequent to the happenings on twitter during the past few days,I had a feeling that you had been softened up/ sorted out by the powers that be-----for once I am happy that I have been proved wrong.....Keep going....Keep firing......bcoz without you this movement against the MSM will be akin to a soccer match between Brazil and Mohan Bagan---GOD BLESS YOu. It should have been the other way around...Modi bribing the IT Conclave so that he could give a speech:-) For the last few years people have realized that the media is heavily bribed. Recently a livemint.com article on India's telecom revolution mentions that Kapil Sibal had said in 2009 that over 150 media publications were owned by persons affiliated to the Congress Party. Then how can we expect any balanced journalism. Actually I think all of them are making money hand over fist in this Modi bashing...otherwise we have to only think that the intellectual calibre of our journalists is terribly low. Modiphobia is getting tiresome. Let us hope all congresswalas seek asylum in case BJP comes to power . glad this site is not infected by pseudo seculars. ......then what does invitees (read media crooks) invited to chintan shivir in jaipur. Their 5 start paid trips can be called as?? BTW in US they have so called super PAC. so its perfectly legal i guess to sponsor a party or person of their choice. These congis cant think different from what they are doing.Since everything they do is illegal by taking bribes,they dont know anything else.Its fearless souls like yourself,Madhuji,Swamyji n others who will rewrite the destiny of our nation.Salutes! Hi Ravinar, the phrase 'Indian Crab Mentality' seems apt for the Congress and their cronies. Interestingly, the crab mentality seems ingrained in Indians. This is more evident if we read our history of how our great kings lost despite having strong fortress and army. No matter what culture, values, growth, or demographic advantage we as Indians have, the crab mentality is the weakest link. Despite our Books saying selfishness is the worst enemy; we Indians are the most selfish lot without concern for future generations or others' pain. This is seen in the way even so-called educated people behave in a queue. There are only two simple reasons for me to support BJP -- 1) is Narendra Modi 2) Congress and the dynasty has got quite a lot of time, almost half a century of post-Independence India, to accomplish their promises. Now it is time for us to give at least a strong mandate for a decade to another relatively experienced party. This slave dynasty of Antonio Meino aka Sonia Gandhi doesn't know how to tackle Modi - baseless rumours like these demonstrates their deep frustration and helplessness. These sycophants know that they cannot overshadow Modi by talking in terms of development so this is the only way left for them - crying around and explicitly displaying the frustration within. Talk of development and Congress shits in its pant. Ask them to blame Modi, they'll pathetically queue up to malign him turn-by-turn in order to grab the attention of the Italian gandhi: Madam-ji. Acts like these justifies Justice Katju statement that 90% indians are fool. Thanks for the informative link to Madhu Kishwar's Modi Nama. Indians particularly Muslims have to choose whether they want to be represented by truly secular Modi or the likes of Padmashri Teesta. Today, I was browsing the news on www.http:\\iVarta.com (a good alternative to junk filled Samachar.com). I looked at this news on IBN link ( http://ibnlive.in.com/news/islamic-institute-training-girls-for-jihad-mumbai-police-circular/382508-3-237.html ). When I looked in the Apr/01 morning, the LIKE rating was 55. After few hours, I was just curious on how many more people liked it, the LIKE rating WENT DOWN to 33. How is this possible unless somebody in IBN update the database? I don't have a proof since I did not take any screenshots (I should have). But, I can definitely say IBN is very good at SECULAR SOCIALISM, where they balance LIKEs and DISLIKEs based on SECULARISM (whatever that is).